An item refers to a single HICAPS item code and may include things like initial consultations, extended consultations or home consultations. A service is what your practice is billing for, and may include single or multiple items. The service is what is displayed to the customer. Important note: A service's item code are the same item code that you would enter to a HICAPS terminal when billing the patient at the end of a service. - To see an example of a completed service for modalities with many item codes such as Dental, Optical and Podiatry click here. 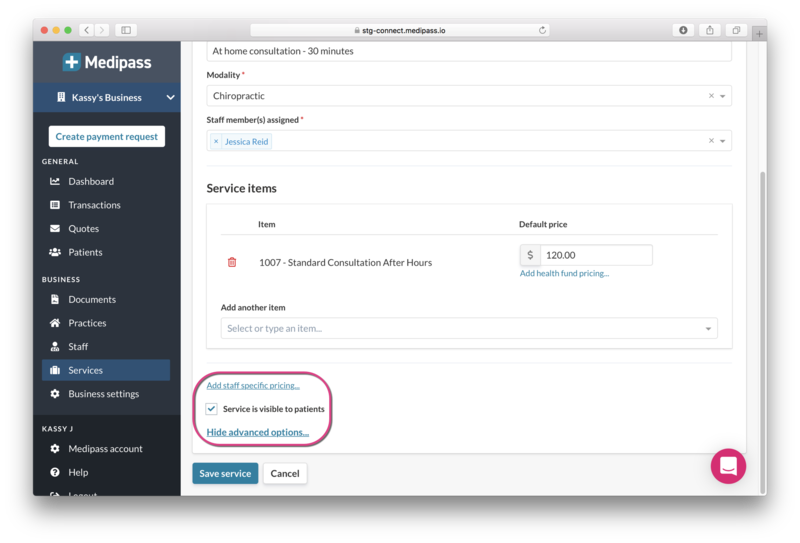 - To view an example of a service for modalities with fewer item codes you can click here. Click on "Services" on the left-hand side and click the blue "Create a service" button. Next, fill in the details of the service. Remember to add the staff members who can perform this service. 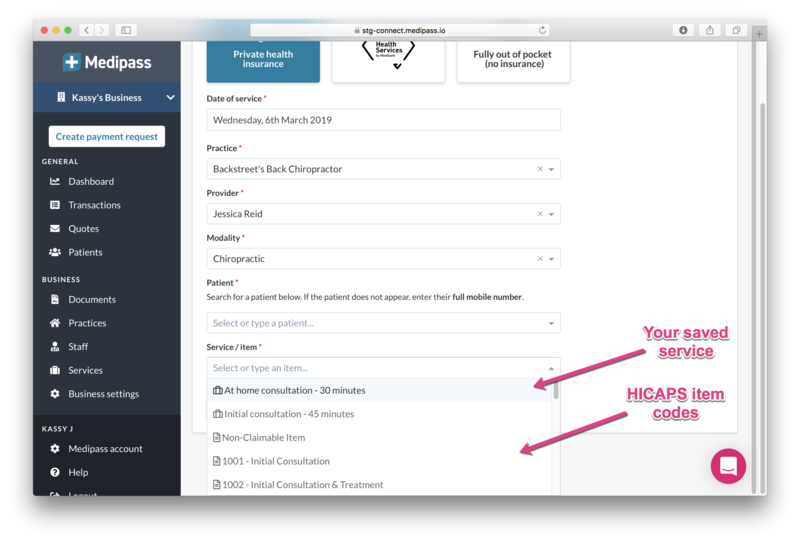 Note: By default, services will appear in the HICAPS Go app for patients to see. If you'd like to hide this service from the app, click on "Show advanced options" before saving the service and untick the box labelled "Service is visible to patients". Once you're happy with the details of your service, click "Create service". To see how to edit a service click here. When you are creating a private health insurance payment request the services you have created will appear first, followed by the HICAPS item codes. Do you need to set up custom pricing for different staff members, or add different prices for a preferred health fund? No problem! Click here for instructions.